We will be selling our scarves at direct from designer prices, beautiful gift boxes and cards for this one weekend only! Once they’re gone, they’re gone! #samplesprint a celebration of the start of each new season through fresh produce and modern craftsmanship. 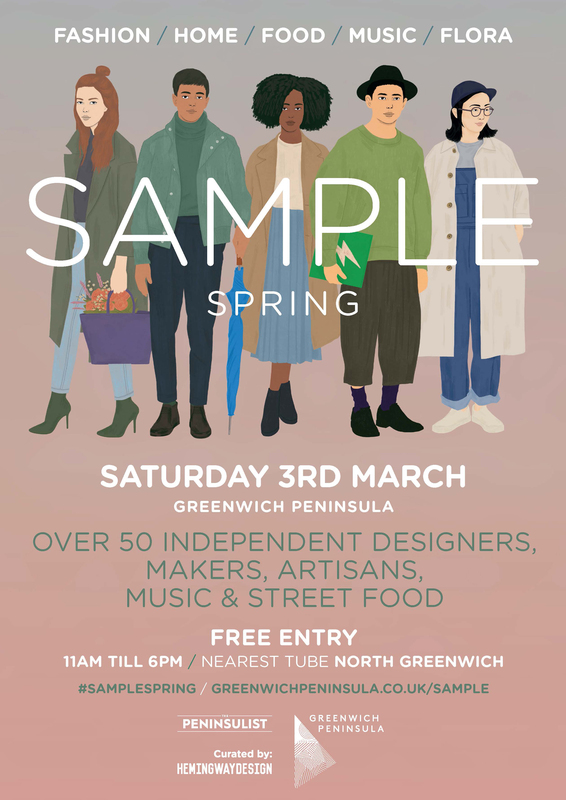 SAMPLE showcases the latest emerging creatives from the worlds of fashion, beauty, art, design and homewares with their new collections, archive and one-off show-pieces alongside a seasonal food market of fresh ingredients.